Download our Money-Saving CK App from Google Play or iTunes. For Questions or Help With Your CK Account or Market, Click Here. 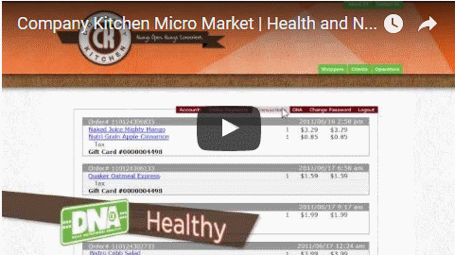 What is a Micro Market? Daily Nutritional Analysis (DNA) is the perfect tool for employees to track what they eat or drink from CK Markets and CK Cafes. DNA provides detailed nutritional content information of everything purchased and downloads it into an employee’s account so they can track their nutrition at work, Please see the video of how DNA works. The CK Client Portal enables HR to monitor collective purchases and inspire employees by providing subsidies and rewards for eating healthier; achievements at work such as a sales goal or safety record; and recognize them for their work anniversaries or birthdays. Our Go Lite! 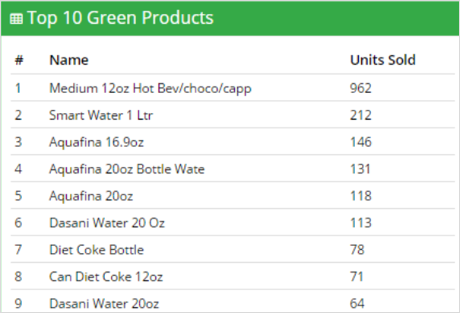 Program shows the top 10 healthiest products sold in the Green section. In the CK Client Portal, company representatives can see at a glance the status of their CK Market. The dashboard provides a summary of sales by day and by Go Lite! category (green, yellow or red). The CK Client Portal also provides real time sales and inventory, so companies can see exactly what is being sold. Beyond data, our Client Portal allows companies to reward and inspire their employees. Loading funds onto employees’ cards is easy. Just select the employee, department, location, or any customizable label which you want to reward, and add funds via credit card! Also in the Client Portal is a library of unique health and wellness articles just for Company Kitchen clients. Topics include stress relief, emotional wellness, healthy eating, and many more that are relevant to our CK clients. ©2019 Company Kitchen. All rights Reserved.